We are lucky to live as close as we do to Kennett Square, PA, a lovely suburban community not far from Philadelphia that is also known as — wait for it — The Mushroom Capital Of The World. Lucky because purveyors from Kennett Square frequent local farmer’s markets — like the West Windsor Community Farmer’s Market, a fantastic Saturday market just minutes from our home — with pint after pint of both common and exotic varieties throughout the year. 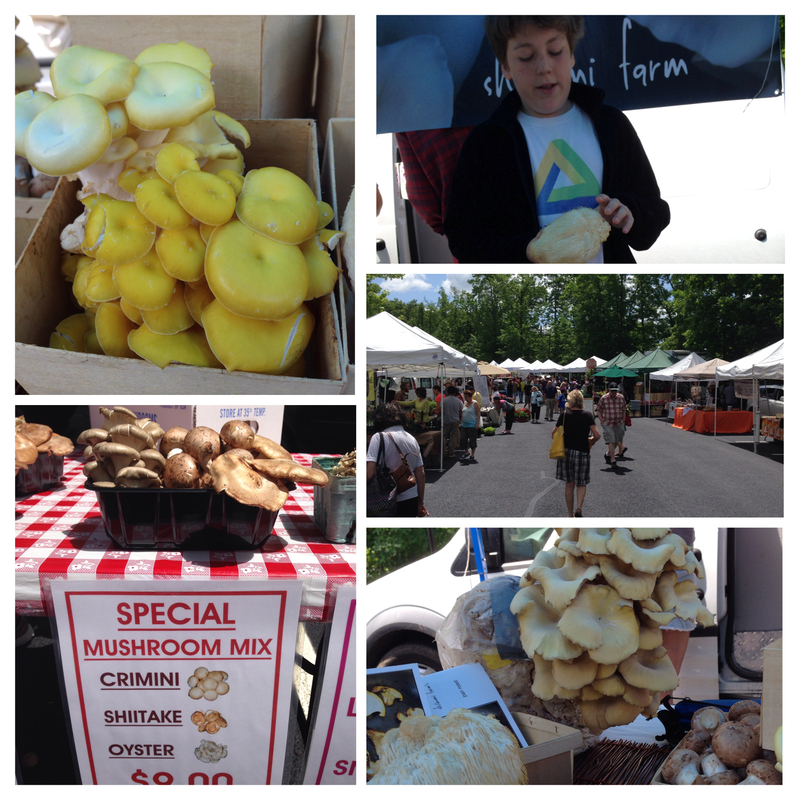 We’re never far from fresh, flavorful mushrooms and the farmers who are excited to talk about the varieties they grow. We’ve long been enjoying mushrooms from Davidson’s Exotic Mushrooms — we last wrote about them in our Butternut Squash and Chicken Risotto with Sautéed Leeks and Mushrooms post — but were happy to see Princeton’s own Shibumi Mushroom Farm join the vendors at the farmer’s market this year. Mushroom junkies like me love to try new strains and species, and Shibumi focuses on cultivating proprietary fungi grown indoors on artificial logs that use no animal products or pesticides. Since mushrooms are used in dishes around the world and have long been served at mealtimes on all contents, they seem like the perfect ingredient for this globally-inspired family. I’ve been on a bit of a mission to get The Stout Sprouts to try mushrooms under the presumption that trying may eventually lead to liking. Mushrooms, I’ve found, are one of those foods that improve with age…and by that I mean there is a direct correlation between age and likelihood to consume mushrooms, with the lowest correlation occurring at the youngest ages (some might even say there is a negative correlation during those early years, with mushrooms actually repelling the youngest eaters with a polarizing force akin to an atom splitter). Sure, we could simmer the mushrooms in a kid-friendly cream sauce or mince them finely and hide them in a burger, but my husband and I want our daughters to experience mushrooms as mushrooms. To appreciate their rich umami taste and the flavor variations of different mushroom types. And, after having cooked up several batches of my favorite sautéed mushrooms with shallots and thyme already this year, we made another batch this weekend specifically for them to try. You’ll want to try this recipe too! 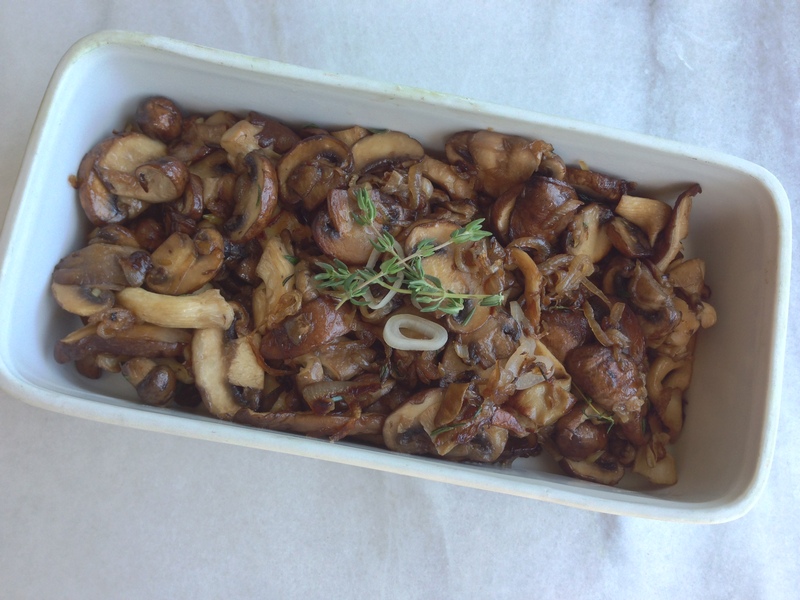 Keep reading for more on our farmer’s market visit and My Favorite Sautéed Mushrooms With Shallots and Thyme.